Rohan Mahimker, the co-founder and co-CEO of Prodigy Math Game, is focused on nurturing the engineers, scientists and mathematicians of tomorrow. He and his co-founder Alexander Peters harnessed their childhood resentment of boring after-school math programs and their love for video games like Pokémon to create Prodigy, an online game that helps students learn math in a fun way. To achieve this goal, the Prodigy team puts all of its effort into perfecting the product, making sure that it is meeting stakeholders’ demands. The company’s core stakeholders are teachers, students and parents coming from all classes of life, which is why the team decided to make Prodigy free for everyone. The game has a curriculum for Grades 1 to 8 and it actively adapts based on the student’s individual learning needs. Users can pay for premium features like extra hairstyles for their characters or capturing more pets in the game, but these upgrades have no impact on the game’s educational quality. “We want to enable everyone to benefit from the high-quality math content that we have,” Rohan explains. Prodigy started out as a project for Rohan and Alexander’s final year in the mechatronics engineering program at the University of Waterloo. To ensure that the game was right for their target market, the co-founders went back to school after they graduated. For about a year-and-a-half, Rohan and Alexander spent every day in an elementary school classroom where they’d watch students interact with their product and get feedback from teachers. In the evening, they’d tweak the game based on this feedback. Rohan was sitting in his car when he realized both the value of product-market fit and the fact that Prodigy had it. He had just finished a presentation to a school board in Ontario that had taken months to set up. A group of superintendents listened to his pitch for Prodigy and had onboarded the game. There was more good news coming his way. While still in his car, Rohan checked Prodigy’s Geckoboard stats. He discovered that the game had onboarded about 5,000 students organically that same day. Rohan has done just that and with little-to-no marketing or sales efforts. He says that currently 80% of the five- to 13-year-olds in Ontario play the game. 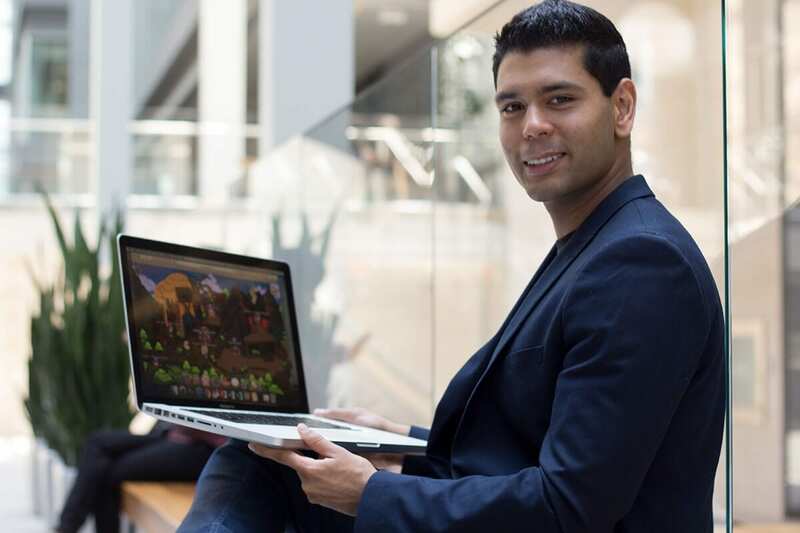 Prodigy’s reach doesn’t stop in Canada: there are six million students all across North America using the game. Rohan sees the change Prodigy is making in education through the positive feedback he gets from both parents and teachers. One parent told Rohan that his kid started using Prodigy in kindergarten. In about eight months his son had finished the Grade 1, 2 and 3 curriculums and was working at a Grade 4 level. As a founder, Rohan loves hearing these types of stories because it shows the education system’s current grade restrictions on students and how their company can change them. “There’s no reason there has to be that ceiling,” he says. In five years, Rohan hopes to see Prodigy drive changes in the education system on a generational level. Thanks to the data that the game collects from students every day, the company knows where an individual is doing well and where they are struggling at any given point. This essentially eliminates the need for a two-hour test at the end of the year to determine a student’s level in math, says Rohan. Data could also be used to help teachers to give better feedback on report cards and to structure more effective lesson plans, he adds. “We really see an opportunity to provide a lot of value to the education system in general as to how kids are educated in the future,” says Rohan. For now, Prodigy is just a math game, but Rohan says it has a lot of potential to expand into other subject areas, including literacy, science and history.